Crooks' austere design reflected the Germanic heritage of the congregants. By 1860 the German population in New York City had topped 100,000. There were 20 German churches, two German-language newspapers, and fully 50 schools were taught in German. Already the Lower East Side neighborhood around Third Avenue and the Bowery was becoming predominately German. But a few of the immigrants struck out for the Yorkville area sixty blocks north where development was just beginning; away from the crowded conditions downtown. In 1863 a congregation of Lutherans established Die Evangelisch Lutheraner Immanuelsgemeinde Ungeaenderter Augsburger Konfession zu Yorkville. It was a name that did not easily roll off the tongue and would be known as Immanuel Lutheran Church. 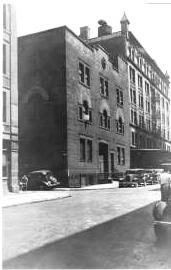 The group erected its first church on East 87th Street, but within two decades was ready for a substantial new church. English-born architect Arthur Crooks was commissioned to design the building. Crooks had established his reputation in designing many ecclesiastical structures in New York and Connecticut, mostly for Roman Catholic parishes. Immanuel Lutheran Church would be one of Crooks’ last works. He unexpectedly died in December of 1888. 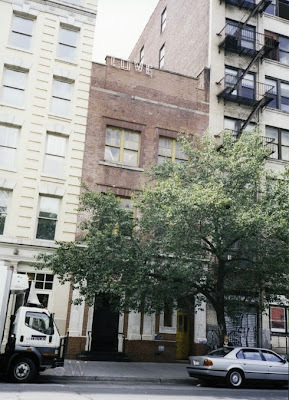 Land was purchased at the southwest corner of East 88th Street and Lexington Avenue. 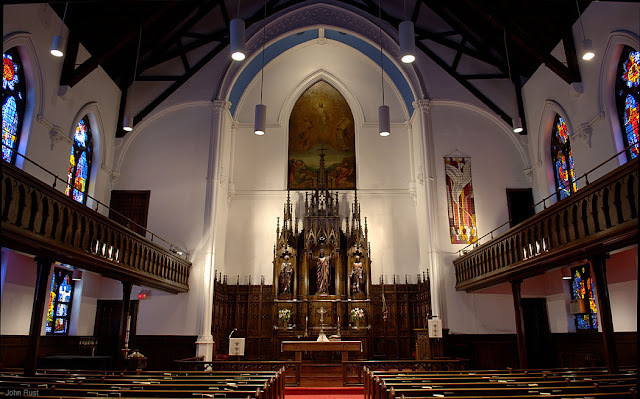 For inspiration the architect looked to contemporary German and Northern European churches—severe Gothic structures with dignity and strength. At 1:30 on October 31, 1885 an imposing ceremony marked the cornerstone laying. After a short service in the 87th Street church, about 700 congregants marched to the construction site where the basement and a small portion of the exterior walls had been completed. Despite the cold, nearly 1000 people shivered through the three hour service. Inside the polished granite stone were placed an English and a German Bible, a collection of German hymns and other documents relating to the history and current members of the church. The article got everything right except the buttresses. The completed Immanuel Lutheran Church was both austere and powerful. A 200-foot bell tower anchored the corner of the building and provided its main focal point. The “massive buttresses,” owing to the restrictions of the plot, were scaled down. In celebration of the building’s dedication, Empress Auguste Victoria of Germany donated three bells for the tower. The empress, wife of Emperor Wilhelm II, would be the last of the German Empresses. The large bronze bells were cast in 1886 by G. E. Gollen von C. Dob & Son in Stettin, Germany. Referring to verse 13:13 in 1 Corinthians—“And now these three remain: faith, hope and love. But the greatest of these is love.”—the bells were inscribed “Glaube, Hoffnung, and Liebe;” Faith, Hope, Love. Inside, the church stretched 100 feet to the back wall and soared 75 feet to the vaulted plaster ceiling. The large space could seat 1,200 worshipers. Around 1900 an elaborately carved reredos from the Black Forest area of Germany was installed. The magnificent work became the focal point of the apse with nearly life-sized wooden sculptures of Christ, Moses and John the Baptist standing within complex Gothic canopies. The 20th century brought difficulties for German congregations. 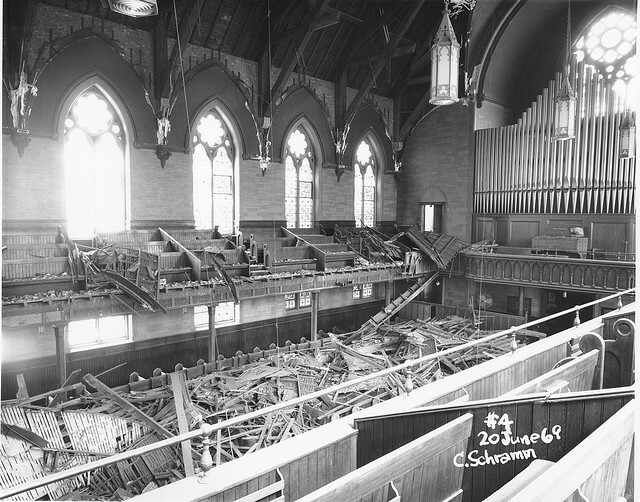 The General Slocum disaster in 1904 that decimated the congregation of St. Mark’s Evangelical Lutheran Church on East 6th Street drove most of the Germans from that neighborhood to Yorkville. World War I and II brought with them a bias and suspicion against things German, and churches like Immanuel Lutheran struggled through years of uncomfortable tension. The church underwent a renovation in 1953; but there would be a much greater rebuilding project in store. 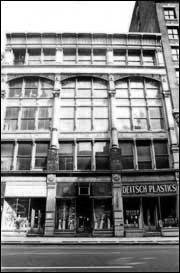 In late Spring of 1969 Gimbels Department Store began construction of its new Gimbels East branch on Lexington Avenue between 86th and 87th Streets. As crews dynamited bedrock for the foundation, the church trembled. Ann Siemer, church secretary, notified the general contractor, Conforti & Eisele, and then the sub-contractor, the LeMura Contracting Company, telling them that plaster was falling from the church ceiling. The blasting continued and then, on the morning of June 20, the tremors became a disaster. The vaulted plaster ceiling collapsed. The entire east side of the interior was buried in plaster and wooden laths, destroying the pews and damaging the stained glass windows beyond repair. Neither the altar nor the irreplaceable reredos was harmed. In the restoration, the vaulted ceiling was not replaced; instead the open beams and truss work were left exposed. In 1973 replacement windows were installed; the work of Belgian-born New York City artist, Benoit Gilsoul. Gilsoul used faceted glass that gives the windows dimension and diffuses the sunlight. The Yorkville neighborhood is no longer primarily German. Amid the trendy, upscale atmosphere of the area, however, the sober Immanuel Lutheran Church still stands, anchoring the corner as it has for nearly a century and a half. Much has been made of the exterior of the rowhouse at No. 169 East 71st Street as the “Breakfast at Tiffany’s” home of Holly Golightly. Since the Victorian house came on the market in December 2011 for $5.85 million, it has garnered renewed attention. New Yorkers have forgotten, however, that the house made famous in the 1961 motion picture played an important role in an unnerving footnote of Manhattan history. In the second half of the 19th century, the Upper East Side filled with comfortable homes built for upper- and upper-middle class families. Developers built blocks of near carbon-copy homes, many in the extremely popular Anglo-Italianate style. Joseph Wallace Cremin purchased one such house, at No. 169 East 71st Street. Cremin was a educator who began his career prior to 1844 teaching in the western part of New York State. In 1858 he came to New York City, teaching in Grammar School No. 1. Afterwards he moved on to Grammar School No. 18 and, when the new Grammar School No. 27 was opened, he was made principal. Cremim and his wife reared their sizable family in the house. Life in the Cremin home was mostly uneventful, although on August 25, 1883, John E. Moore, along with Mart Allen and Michael Thomas, broke into and burglarized the house. The thieves received a five-year sentence in the State Prison. Seven years later, on August 5, 1902, the 80-year old Joseph Cremin died in the family home at No. 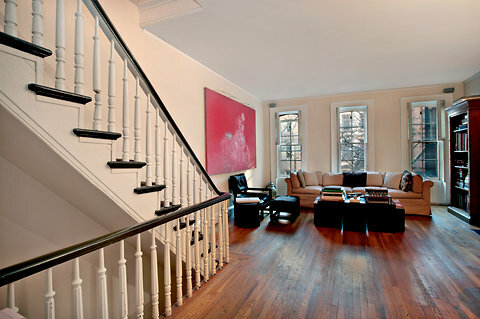 169 East 71st. The year following his father’s death, Stephen E. Cremin’s wife left him and he moved back into the 71st Street house where his brothers and sisters still lived. Stephen was a traveling salesman whose territory was in the South. Yet the separation deeply affected him. He was subject to periods of deep depression that were noticed by his friends and fellow club members. On February 11, 1915 Cremin walked into the Lambs Club around 5:00, seemly in good spirits, and chatted with several members. After a while he requested a room, saying he wanted to rest. Hallboys, around 8:00 in the evening, heard groans coming from the room and called for help. Cremin was found laying across the bed when the door was forced open. He had taken a razor to his throat and to his wrists. Despite a doctor’s attempts to save him, he died at 9:30 from loss of blood. The emotional and moving letter was published in The Sun and New Yorkers remembered the incident for years. One of Stephen’s brothers, Joseph Daniel Cremin who was Deputy Tax Commissioner under the Tammany administration, died in the house four years later on July 1919. The house was purchased in 2008 for $1.88 million by Peter E. Bacanovic, the then-Merrill Lynch broker who later found himself in hot water over the Martha Stewart insider-trading case. Some interior renovations were executed by architect David Gauld, then in December 2011 Bacanovic put the Victorian townhouse on the market again. While the prim rowhouse will perhaps always be remembered as the home of Truman Capote’s Holly Golightly, Edwardian New Yorkers thought of it for many years as the home of Stephen Cremin; the house which the emotionally devastated salesman left for his last drink at the Lambs Club. In 1904, whether John Peirce knew it or not, the exclusive mansion-filled Fifth Avenue neighborhood around St. Patrick’s Cathedral was doomed. Four years earlier the large site of the former Roman Catholic Orphan Asylum, across 51st Street from the Cathedral and diagonally across the avenue from the mansion of George W. Vanderbilt, became available for development. 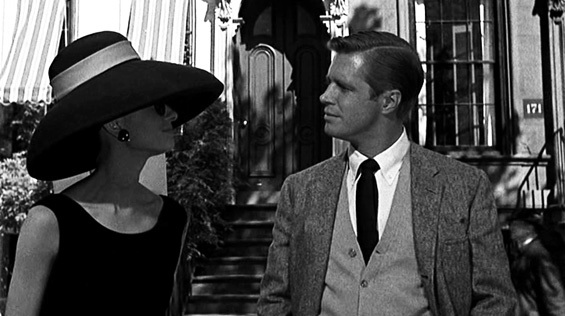 In an attempt to protect their homes from unwanted neighbors, the Vanderbilts rushed in to seize the property. Already a syndicate represented by J. Stewart Chisholm had expressed interest in building an apartment hotel on the site. 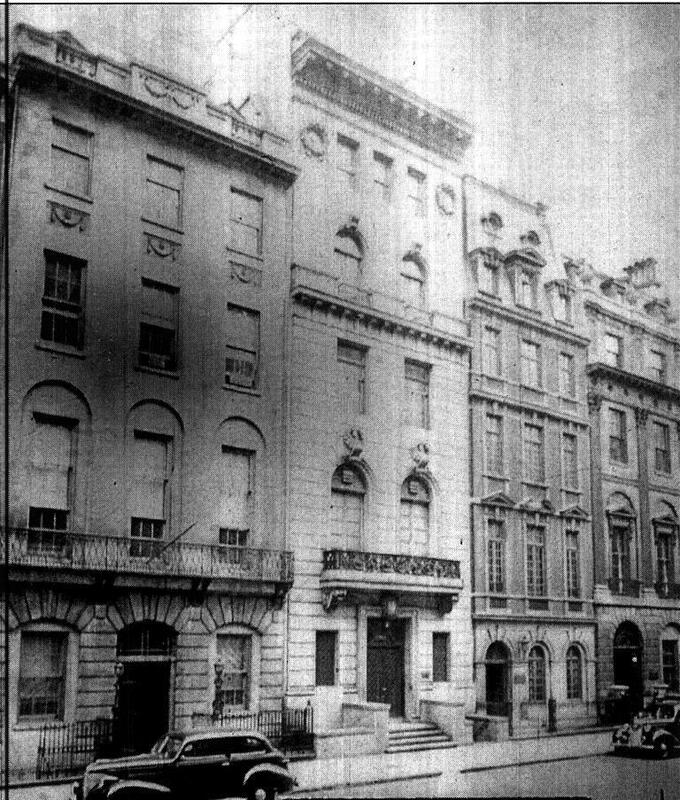 But John Jacob Astor had already sent shock waves throughout the neighborhood when he purchased and destroyed the great brownstone mansions at the southeast corner of Fifth Avenue and 55th Street in 1901 to construct the 19-story St. Regis hotel. The hotel signaled the beginning of the end. Grand residences continued to be constructed for awhile, though. 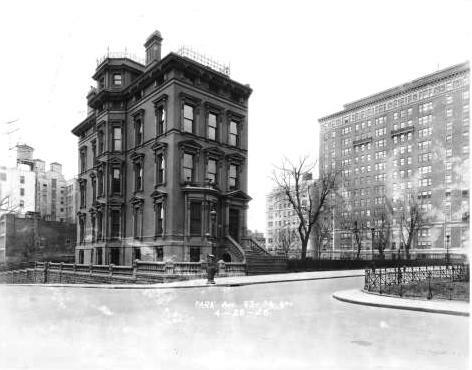 Morton Plant erected his stone mansion on Orphanage land purchased from Vanderbilt and on the opposite corner, at 51st and Fifth Avenue the exclusive Union Club was built. Between them George Vanderbilt erected two matching marble palazzi. But it would not be enough to stop encroachment of commerce and the eventual abandonment of the area as a fashionable residential one. While all of this was going on, John Peirce had made himself a name both in the construction industry and in New York society. Although the key to exclusive clubs and the inner circle of society was traditionally an established family name and “old money;” the truth was that any money would do as long as one had enough of it. Peirce’s father operated a granite quarry in Frankfort, Maine. By the mid 1870s the younger Peirce ran the business and controlled much of the Maine granite industry. After moving to New York in the early 1880s, he branched out into general contracting, was instrumental in the founding and construction of the subway system and supplied the granite for many of the most monumental buildings not only in New York, such as Grand Central Terminal, but along the East Coast and in Washington D.C.
By the turn of the century he was President of the John Peirce Co.; a director in the firms of William Bradley & Son., Inc.; Empire City Marble Co.; Mount Waldo Granite Works; Stoney Creek Reed Granite Co. the Interborough Rapid Transit Co.; the Interborough Construction Co. New York & Long Island Railroad Co.; and the Metropolitan Bank. The son of a quarryman now owned a steam yacht and was a member of the Harvard Law School Association, Maine Society, New York Yacht Club, Larchmont Yacht Club, Columbia Yacht Club and the exclusive Manhattan and Metropolitan Clubs. John Peirce had done well for himself. Peirce purchased the lot at No. 11 East 51st Street in 1904 from Vanderbilt and commissioned architect John H. Duncan to design an imposing residence. While other mansions in the area were being constructed of limestone or marble, Duncan was instructed to use granite. After all, Peirce owned granite quarries. Completed in 1906 it was an Italian Renaissance palazzo five stories tall with a modern, American basement. 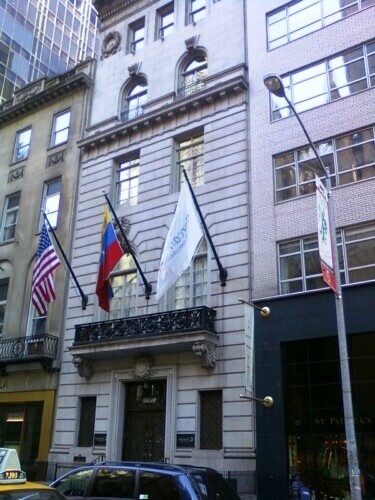 The entrance, up a few steps from the sidewalk, was centered below a graceful cast iron balcony. Sumptuous stone-wreathed keystones capped the arched windows of the second floor, echoed by two stone wreaths flanking the fifth story windows. Elegant carved keystones surmount the windows above the second story balcony. While Duncan’s design was prim and elegant; his proportions were questionable. Rather than relying on a single-story rusticated base, as with most of the other mansions lining the block, the architect continued the rustication for three floors before adding a cornice to support the top two smooth ashlar stories. The result looks something like Grandpa wearing his britches too high. Peirce and his second wife, Abby, moved in with their five grown children: John Royden, Louise, Mary, Reginald and Alice. Their home was flanked by the mansions of Ogden Codman and Mrs. Mary C. Kling. The future could not have looked better. But things were not only changing on Fifth Avenue; they were changing in John Peirce’s world as well. If the news “created a sensation in contracting circles,” it created an equally significant sensation in social circles. On October 21 the following year the Tribune reported that Eugene Meyer, Jr., “a Wall Street banker” had leased the East 51st Street house from Peirce for two years at $15,000 a year. Meyer’s lease was up in the summer of 1911. On December 11, 1912 William Ziegler, Jr. married Gladys Virginia Watson in the St. Regis Hotel. Zeigler was the adopted son of the now-deceased and extremely wealthy William Ziegler, a baking powder manufacturer. 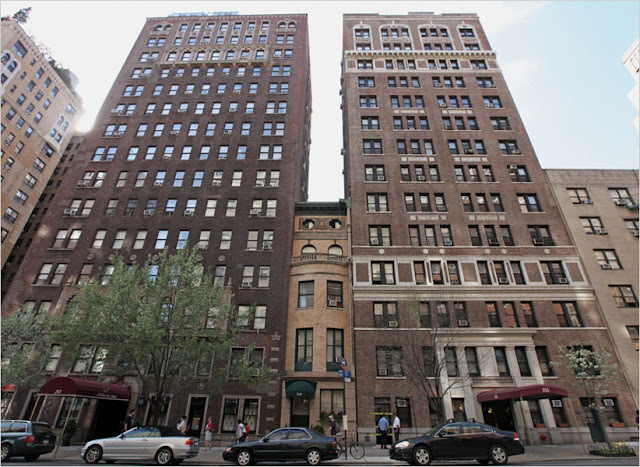 He had purchased a lot from Otto H. Kahn on East 71st Street on which to build a new mansion. In 1914 the Peirce family used the house one last time for an understated wedding. On January 14, 1914 the house was used for the last time by the Peirces. In the presence “of the families and a few friends” Helen Peirce was married to Edward Irvine McDowell in the elegant mansion. Four weeks later the Metropolitan Life Insurance Company instituted suit against John Peirce and his wife to foreclose the mortgage of $200,000. On February 18, 1915 Peirce lost the property for good when The Metropolitan Life Insurance Company purchased it at foreclosure. John Peirce’s time in the spotlight of New York society was over. Finding a buyer for a mansion in the Cathedral neighborhood was an significant task for the insurance company. 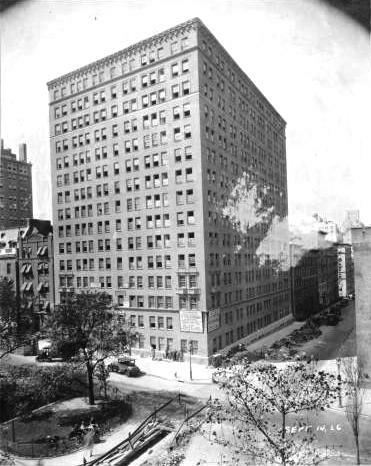 In 1916 Morton Plant left his Fifth Avenue mansion, soon to become the home of Cartier jewelers, and William Vanderbilt’s twin marble houses were leased to art dealers Gimpel & Wildenstein. World War I was raging in Europe and the United States was on the brink of being thrust into it. One of the first activities in which the girls were involved after moving into their new quarters was a benefit for the Red Cross. In May 1916 they gave a performance of “A Midsummer’s Night’s Dream” in the Century Lyceum Theater for the charity. Readers who wondered who the “well-known New Yorker” was and what would become of the school had to wait until September when The Times announced that the buyers were Louise Eltinge and Mary E. Masland. The school was secure. The school continued producing well-educated and well-heeled young ladies. In 1927 the girls produced a musical comedy called “May Flowers” in the ballroom of the Plaza Hotel to aid the school's College Scholarship Fund. Unfortunately, with the end of the 1920s also came the Great Depression. Even a school that catered to the daughters of the wealthiest families could not sustain the blow issued by the economic collapse and in 1933 the house was lost, again, to foreclosure. In 1937 Pagano Studio bought the property. Advertising & Selling Magazine remarked that the purchase was “to coordinate the services of its several studios” and there would be “extensive alterations.” Those alterations were executed by architect Frank S. Parker who renovated the house to accommodate photography studios, dressing rooms and offices. The neighboring house to the west, much altered, survives next to the Peirce mansion. 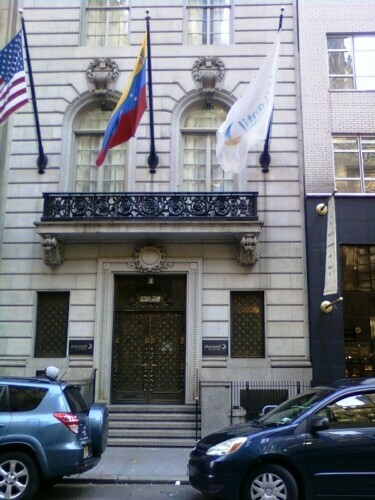 The mansion was converted again in 1948; this time to offices for a single tenant. Throughout it all the façade, on a block where mansions were either destroyed or severely altered, was never touched. Prior to the Civil War St. John’s Park was one of the most exclusive residential neighborhoods of Manhattan. Along with the fine brick Federal-style residences that lined the square was the majestic 1807 Georgian-style St. John’s Chapel. But in 1867 Trinity Church sold the park to the Hudson River Railroad for $1 million. The railroad built a freight depot and the elegant neighborhood was no more. Rapidly the homes were replaced with warehouses and small factories that took advantage of the proximity to the railroad. At the same time, private express mail companies like Adams Express, Wells Fargo and American Express were rapidly growing. Founded in 1850 in Albany, American Express established its headquarters in Manhattan at Jay and Hudson Streets and essentially enjoyed a monopoly on the shipment of express goods in the state for two decades. Even before the freight depot was built, American Express erected at two-story stable at Nos. 4 to 8 Hubert Street in 1866, designed by architects Ritch & Griffiths. 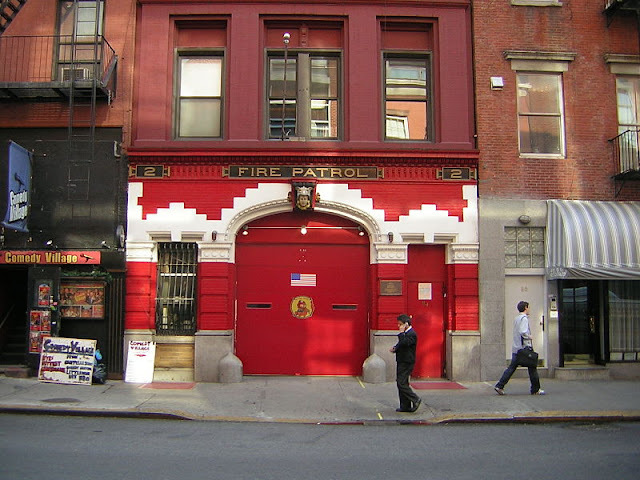 The stark brick building did not pretend to be anything other than a utilitarian building with little ornamentation. While American Express was operating its stable from Hubert Street, the United States Army established a cavalry rendezvous local recruiting office around the corner at No. 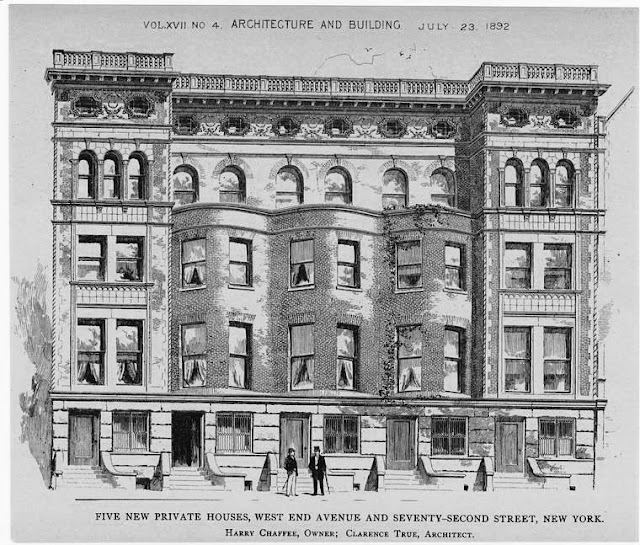 157 Hudson Street in the 1880s. Although funds transfers and long-distance finance had already become an important part of the firm’s operations—the American Express Travelers Cheque was copyrighted in 1891—American Express recognized the need to enlarge the Hubert Street facility in 1898. Architect Edward Hale Kimball was commissioned to extend the stable through the entire block along Collier Street to Laight Street. It was most likely at this time that the entire structure was increased to three stories. Kimball updated the original façade, melding it with the addition by matching the keyed window surrounds and introducing a mixture of Romanesque Revival and Renaissance Revival styles; both highly popular at the time. 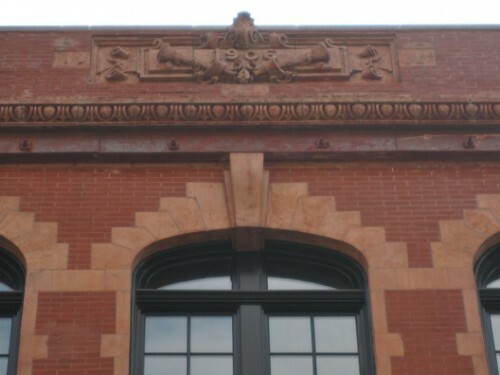 On both the Laight Street and Hubert Street sides, Kimball added a robust terra cotta bulldog logo in a rondel under a shallow stepped parapet. The renovations were completed a year later, in 1899. Only three years later, in 1902, the building was enlarged again. Architect Charles Romeyn widened the Laight Street side. He also added a long, narrow extension through the middle of the block to No. 157 Hudson Street where the Cavalry had been headquartered, creating a T-shaped structure. The days of horses and drays for the American Express Company were numbered, however. In 1913 the parcel post system was established, wielding a significant blow to the express companies. By 1918 American Express was gone and a railroad freight firm, the American Railway Express Company, was using the building. The building was renovated again in 1946 when architect Henry G. Harrington remodeled it for use as the factory of the First Machinery Corporation, manufacturers of plastic and rubber products. 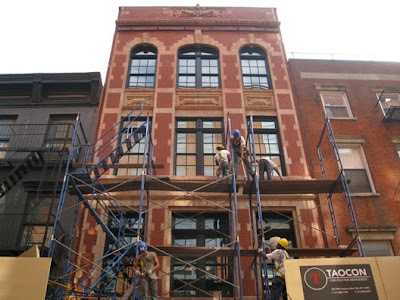 Harrington also remodeled the Hudson Street façade by adding stone pilasters and arches framing the entrances. Harrington's addition at No. 157 Hudson forming the base of the T-shaped building (seen far right) stands next to two derelict Federal homes, still remarkably intact in 1922. Their marble arches and lintels, even their elegant entranceways and iron railings are still in place. First Machinery Corporation ran its factory here through the 1950s. The sometimes eyebrow-raising activities came to a halt when developer Peter Moore bought the building in 2004 for $18 million. Working with architect Kevin Kennon he brought the deteriorating structure back to life. 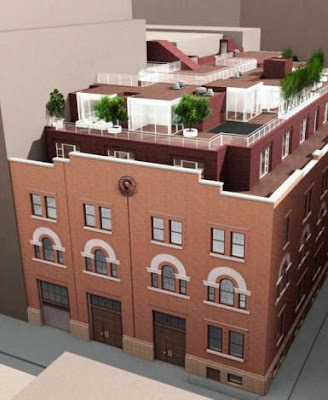 After struggling for awhile with the Landmarks Preservation Commission over a proposed three-story rooftop addition, Moore settled for a compromise of a two-story addition invisible from the street. 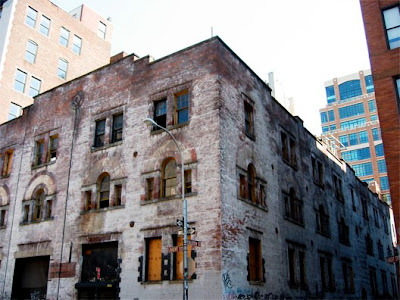 The resulting multifamily structure had 17 unique loft apartments averaging 3,000 square feet each. Nearly a century and a half after the original stable was built, it serves as a fine example of reuse of an historic property. Often glossed over in history classes is the treatment of German-American citizens by the government and Americans in general during the World Wars. One wealthy immigrant, George Ehret, endured the intolerable with grace and dignity. The twenty-two year old George Ehret sailed to America in 1857, five years after his father, Anselm Ehret, had already immigrated. The young German had thoroughly learned the art of beer brewing at home and was hired in the New York brewery of Anton Hupfel. Within three years he had achieved the rank of master brewer. Nine years later, with the assistance of his former employer, Ehret opened his own business in 1866, the Hell Gate Brewery; named after the Hell Gate strait of the East River that it overlooked. At the time the area was rural, with unbroken views as far as Long Island. The only other structure in the vicinity was the Fanshaw mansion, one of the country estates of the wealthy. Ehret introduced lager brewing to Manhattan and by the 1870s the brewery was steadily expanding. As the Hell Gate Brewery prospered, so did George Ehret. Within only a decade of opening his business he had amassed a fortune. Ehret had an imposing brownstone mansion erected in 1878 in the then sparsely-developed area of Park Avenue and 94th Street on land he had purchased four years earlier. The dignified Italianate structure was as strait-laced as its owner’s Teutonic background. 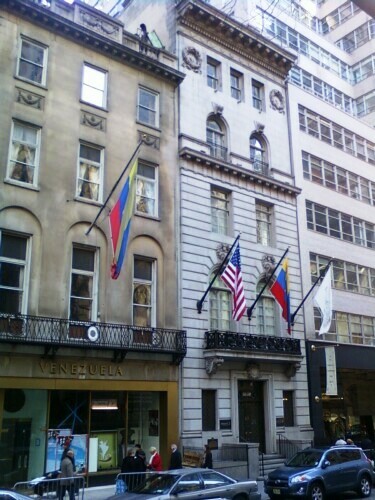 Three tall stories high over a very deep English basement, it was graced with classical pediments over the windows, a bowed parlor window to the front, and a sweeping stone entrance staircase that spilled to the sidewalk. The stone banister of the stairs melded into matching fencing above a stone wall, wrapping the 94th Street side of the property. Here, the most striking feature of the residence was a three-sided bay that rose to a roof-top room with 360-degree views; acting as a sort of widow’s watch. The expansive house was none too large for Ehret’s family that included his wife, the former Anna Hasslocher, six daughters and three sons. As improved techniques and brewing equipment were introduced, Ehret was quick to utilize them. In order to supply his huge brewery with fresh, pure water he had an artesian well drilled through 700 feet of solid bedrock and built a pumping station at the East River that supplied one million gallons of salt water daily for condensing purposes. In the two decades between 1871 and 1890 production of the beer industry in general increased by 400 percent in the United States. 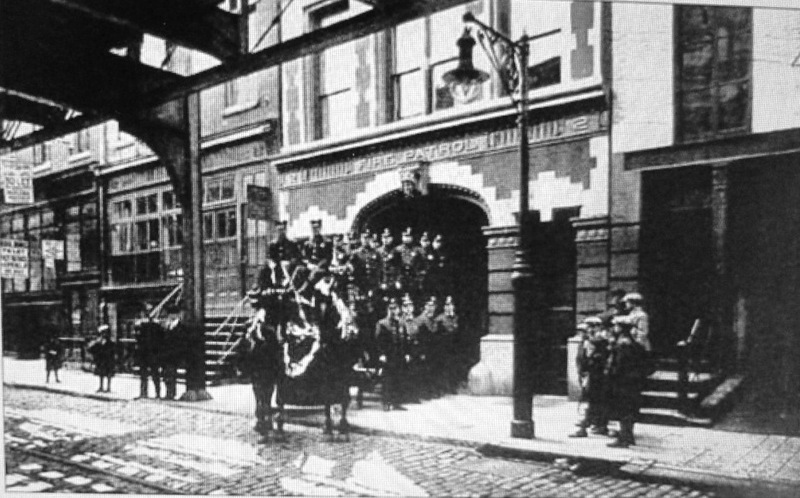 The output of Ehret’s brewery, on the other hand, increased by over 1,200 per cent. It seemed that things just could not get better for George Ehret. 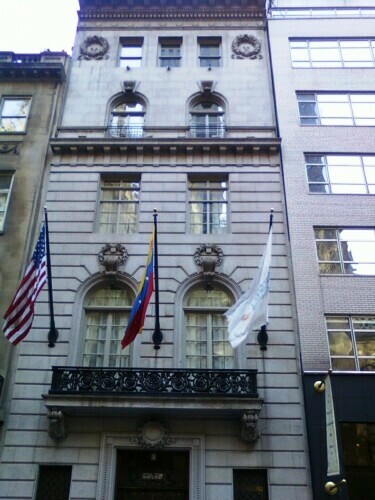 George Ehret gave his daughter and new son-in-law a fully-furnished home at 14 East 93rd Street, just off Fifth Avenue. Within only a few years those words would have a sadly ironic ring to them. Family life within the walls of No. 1197 Park Avenue was not always merry-making and celebration. 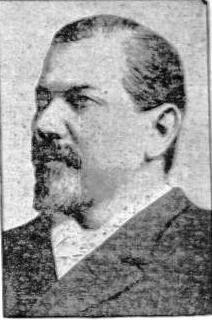 In April 1906 son George, Jr., visited San Francisco. Every day, without fail, George would send a telegram to his father with an update. On April 18 there was no telegram. With the arriving news of the devastating San Francisco earthquake, the family plunged into despair and worry. Finally, four days later, word was received that George had made it out of the destroyed city on a refugee train to Salt Lake City. A year later on March 28, 1907, 47-year old Frank Ehret, the eldest of the three sons, died in the house of a long-lasting illness. In January 1909 the last of the Ehret daughter weddings took place in the Park Avenue mansion when Madeline Louise married William Ottman. By now the aging George Ehret was in failing health. He began an annual pilgrimage to Germany to “take the cure” at the baths there. Normally accompanied by one of his daughters, he would sail in May and return in November. What had been an innocent pilgrimage turned horribly wrong in 1914. Ehret sailed to Germany in May, leaving his family and his business doing well and having no reason to suspect this trip would be any different from the others. But in August the /Great War broke out. Ehret attempted to evacuate Germany with the American Ambassador, James W. Gerard; however, because of Ehret’s frail health, the ambassador refused to accept the responsibility of the long voyage. The Berlin government eventually refused to allow Ehret or his daughter, Anna von Zedlitz, to leave, fearing they would disclose military movements they may have been witness to. The brewer later explained that the German officials considered him and his daughter “enemy aliens” and were forced to report to the police once a month. George Ehret’s six-month trip to improve his health became a four-year nightmare. In the meantime, things at home did not look very good for George Ehret. To the American government, a German expatriate who suddenly left the United States for Germany just prior to the outbreak of war and did not return seemed more than suspicious. Ehret’s entire estate, valued at around $40 million, was seized by the Alien Property Custodian. Rumors circulated that he was purchasing “heavily of German bonds” and subsidized German propaganda newspapers in the U.S. Finally, despite his ill health and the warnings of doctors that a voyage would kill him, Ehret had had enough. In April 1918, due to his age and medical condition, he was allowed to travel to Switzerland. From here he booked passage to New York and was carried on board on a stretcher. “The excitement of not being able to start for this country for over four years became so intense that I decided to take the risk of dying on the steamship and being buried at sea rather than remain to die in Germany,” Ehret said when the ship docked in New York. George Ehret, Jr., told the press that while his father had been absent, $2 million of his estate had been invested in Liberty bonds, $120,000 had been given to the American Red Cross and $21,000 to the Knights of Columbus fund. By the end of the year the war was over. Eventually George Ehret regained his property and fortune, but another hurdle was in store. On June 30, 1919 the Wartime Prohibition Act took effect, followed on October 28 by the Volstead Act which ushered in the Prohibition Era. Production at the Hellgate Brewery came to an abrupt stop. Luckily, George Ehret had invested heavily in New York real estate as his fortune accumulated; many of the plots purchased for the liquor business. He held 181 parcels of Manhattan realty including many valuable corner lots. On April 6, 1925 one of the last great celebrations were held in the Ehret house on Park Avenue. The mansion was filled with “sons, daughters, grandchildren, and great-grandchildren, some of whom came from Germany” for George Ehret’s 90th birthday party, reported The New York Times. The rumors and suspicions of only a few years earlier had been forgotten and George Ehret and his family were again accepted by New York. Two years later, on January 20, 1927, George Ehret died in his home at No. 1197 Park Avenue. A requiem mass was said in St. Patrick’s Cathedral two days later. He left an estate that was still valued at approximately $40 million. The neighborhood was changing. 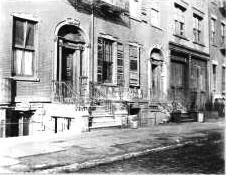 In 1926 the brownstones across the avenue are replaced by No. 1192 Park Avenue --photo NYPL Collection. As George Ehret had lay dying, the brownstone mansions that lined Park Avenue were being demolished to be replaced with modern Art Deco apartment buildings. A year later the Ehret mansion would join them. In what had become a tradition in New York City, the neighborhood of elegant homes—the oldest of which had stood only 50 years—was leveled and redeveloped. The brownstone mansion that had seen so much joy and so much trouble, like the German brewer who built it, has long been forgotten.